"Game-Changing BRAZILIAN Style Soccer Trng since 2002"
FEE: EAST HILL STUDENTS RECEIVE $20 OFF - DISCOUNTED FEE OF $155!! INCLUDES 7.5 HRS OF TOP QUALITY FUTSAL SKILLS TRNG BY COACH FRAGA FORMER BRAZIL PRO, T-SHIRT, FUN SKILLS CONTEST 7/25, TOURNAMENT 8/1, PIZZA PARTY, PRIZES, AND LOCAL BOYZ HAWAIIAN SHAVED ICE!! FOCUS: PREMIER PLAYER DEVELOPMENT & SKILLS TRNG IN AN INDOOR SMALL GROUP POSITIVE ATMOSPHERE, GREAT COMPLIMENT TO TEAM PLAY, MAX BALL TOUCHES, CONFIDENCE & SKILLS BUILDING, BALL RETENTION & MASTERY, VARIOUS FOOT SKILLS LEARNED, QUICK DECISION MAKING, SCRIMMAGES....... FOR INCREDIBLE RESULTS AND PROVEN CARRYOVER INTO GAMES. SPACE LIMITED! SIGNUP FOR TRAINING UPDATES BY EMAIL!!!!! WHY TRAIN WITH COACH FRAGA? Coach Fraga DaRosa played 10 yrs Pro in Brazil, Columbia, New Zealand, the US, and for the Brazilian National Team. Since 2002, he has been the Owner and Trainer @ Fraga Elite Soccer providing LOCAL top quality Indoor/Outdoor/Sand soccer programs designed for Game-Changing Player Development for ages 8 & up. He is also presently the Skills Trainer at Bayside Dynamo in Gulf Breeze. His Futsal Programs are appropriate for ALL REC AND SELECT LEVEL PLAYERS. 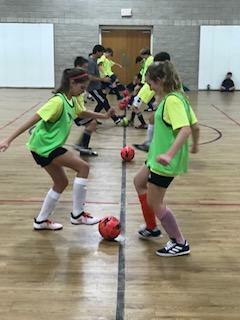 Indoor Futsal Training with Coach Fraga allows soccer players to have many more touches on the ball than with normal field training.....once every 7 seconds to be exact - creating incredible skill results! Fraga's training methods are utilized by top soccer coaches around the world and were fundamental in the development of all of the current foreign soccer super stars. 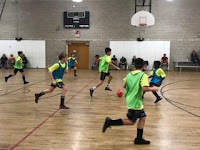 Fraga Elite Soccer Futsal Programs provide a small group positive atmosphere, Speed of play, rapid touches, quick reflexes and decision making, confidence building, communication/teamwork, ball retention and mastery, passes under pressure, small-sided games. PROVEN RESULTS.....many changes in direction in small spaces results in rapid improvement for dedicated young stars! passion for the game always made for an encouraging learning environment. with Coach Fraga DaRosa. He inspires excellence on every level! My son has a continued passion for soccer at 13, when others at his age  give up. better as an individual and team efforts.